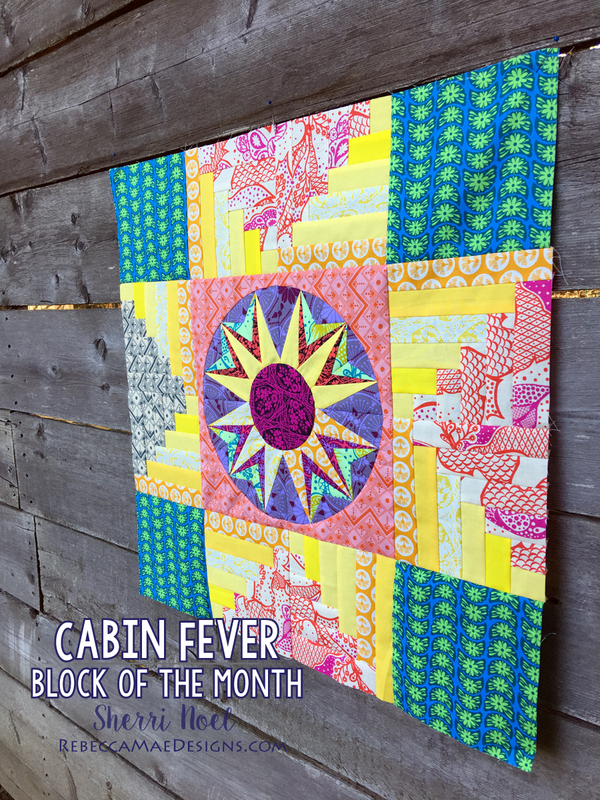 I’ve been moving along with my Cabin Fever Block of the Month project and I’ve got block four to share with you! 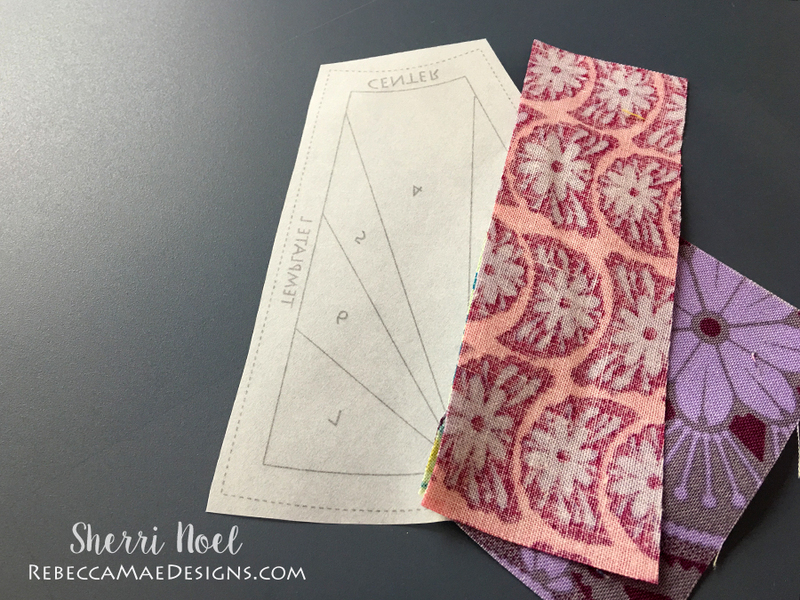 Plus some paper-piecing tips. 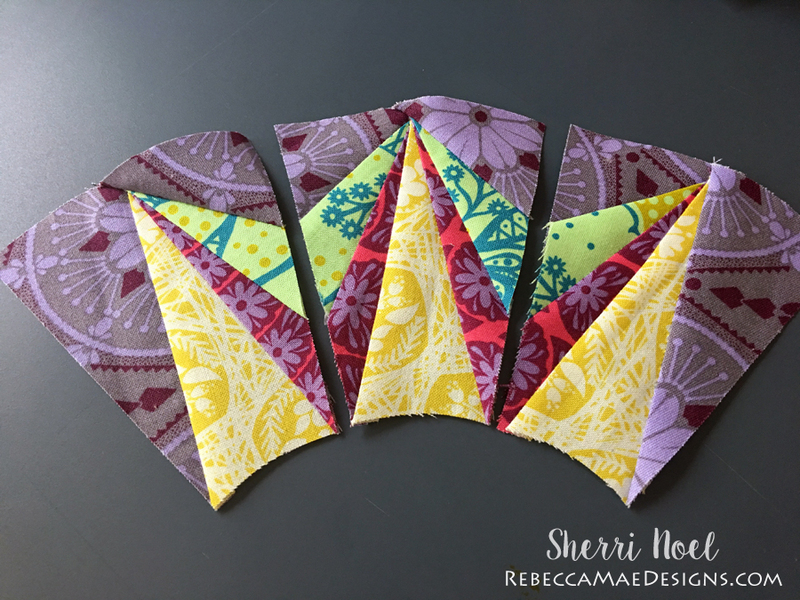 The center star is assembled a little different than the three previous stars and I thought I’d share a little about how I paper-pieced mine in case it’s helpful to some of you following along. 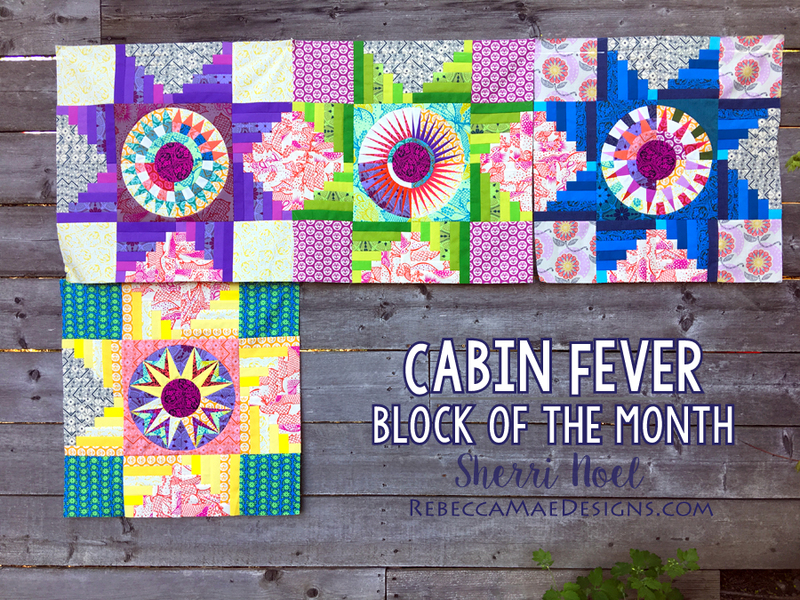 Looking for the pattern? Find it HERE in my shop! 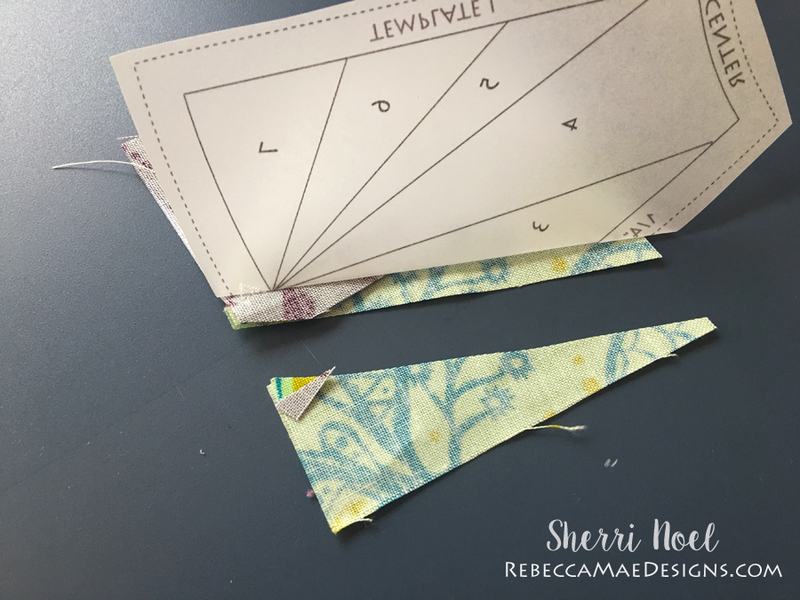 I’m working on template L which is the center patch of one arc section. 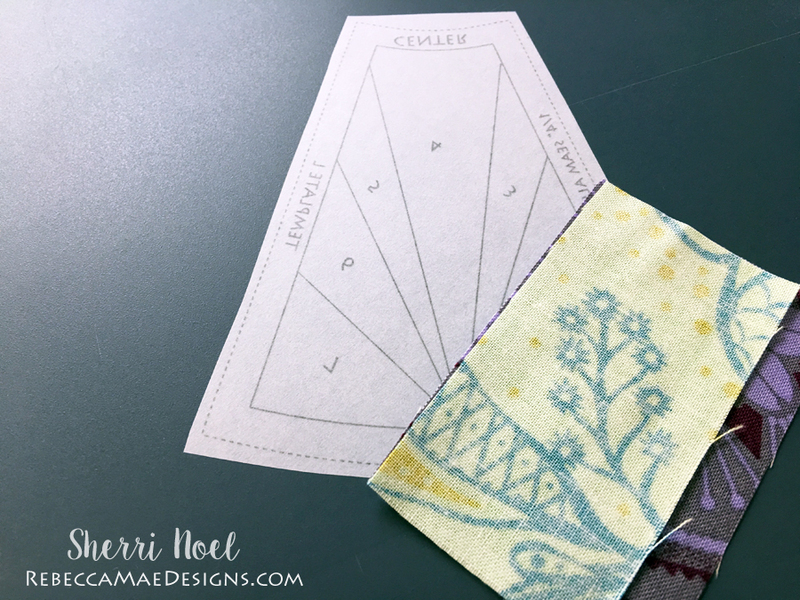 Align the first two fabric patches right sides together and place them 1/4″ over the first sew line (between section 1 & 2) on your foundation paper. 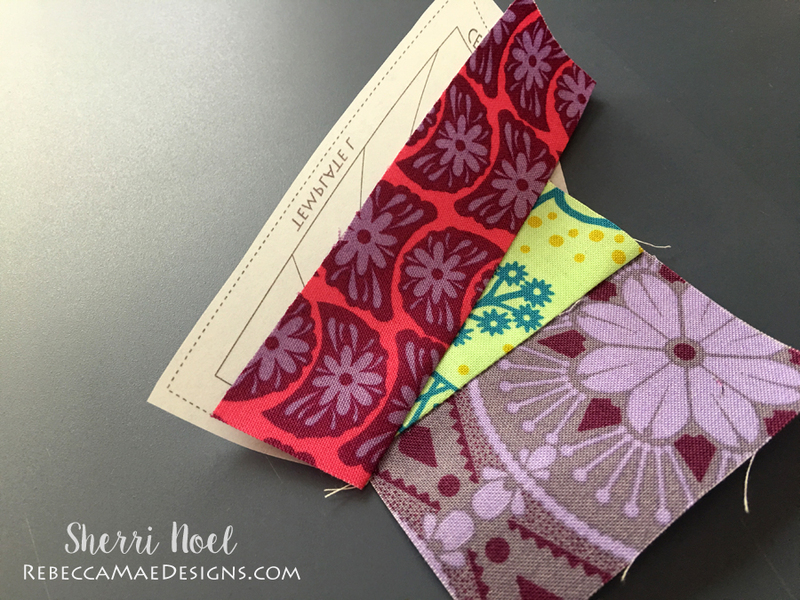 Turn to the paper side and sew on the first 1-2 sewing line. 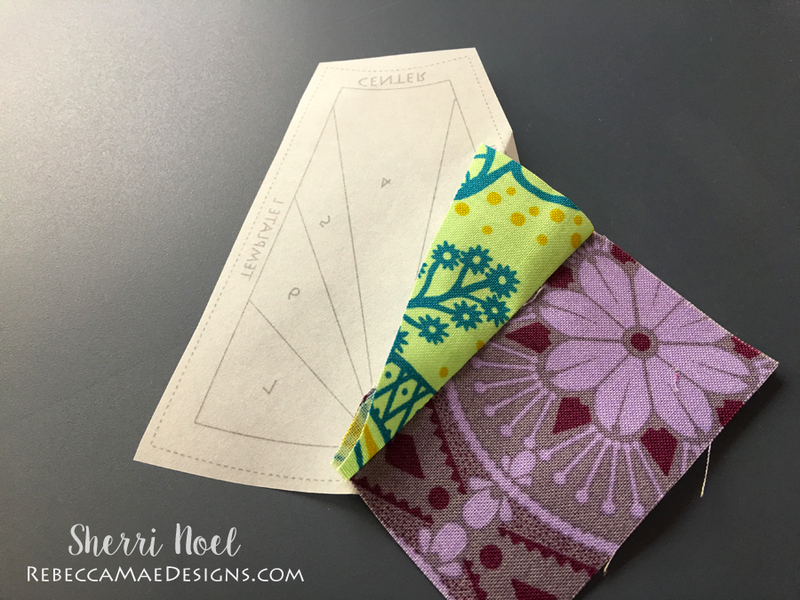 Turn paper over and press the fabric open. 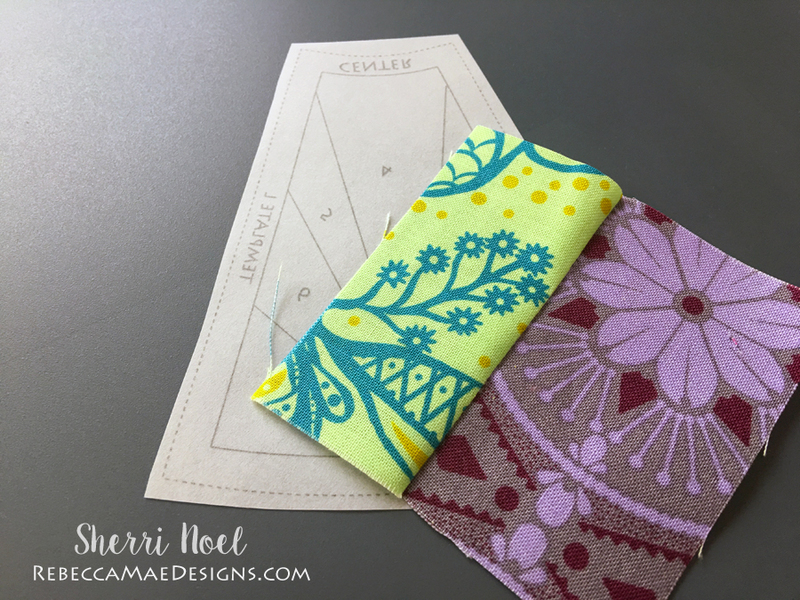 Now, with the fabric face down, fold back your paper template along the NEXT sewing line between sections 2 and 3. 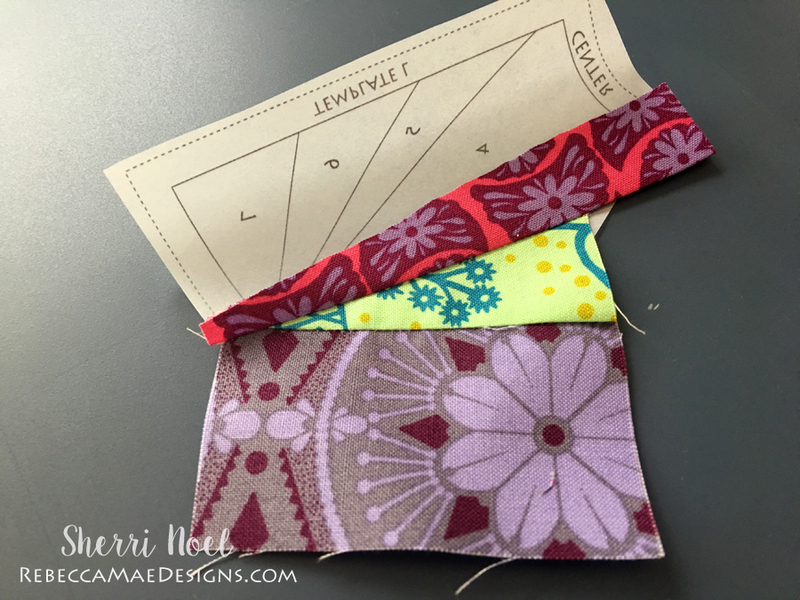 Place the lip of your add-a-quarter ruler along the fold and trim away the excess fabric. This is what it will look like after you press it open. 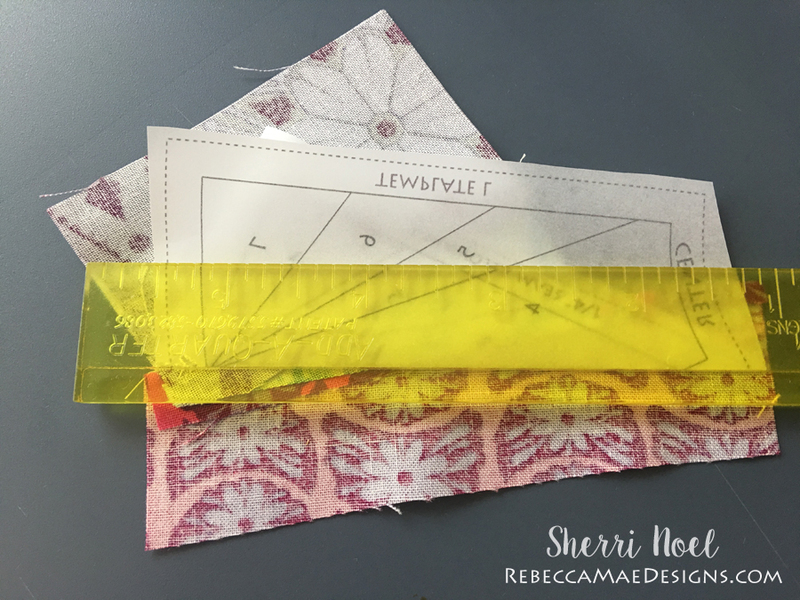 The beauty of this is that now you can align the next fabric patch along the edge of the trimmed piece. See (next photo) how I have my next piece aligned right up with the trimmed piece? 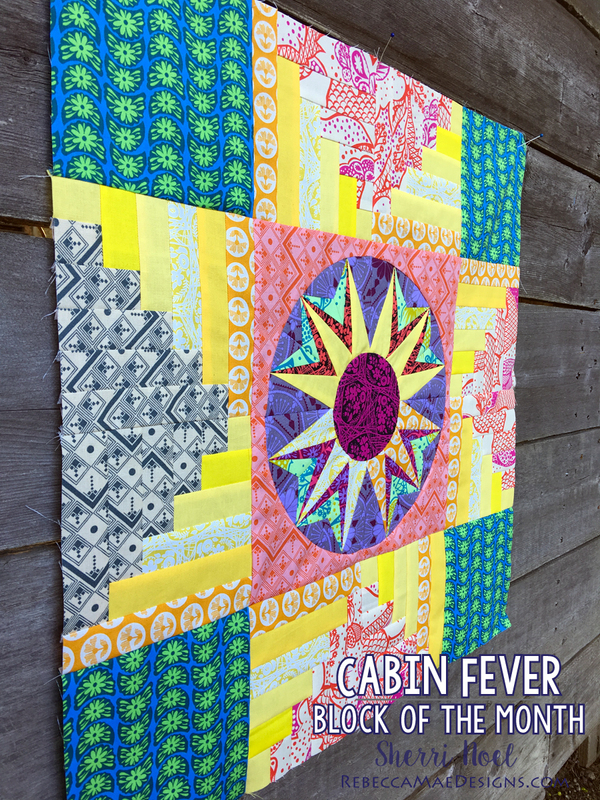 This means I have a perfect 1/4″ and no extra bulk to trim after I’ve sewn it on. Press open again. 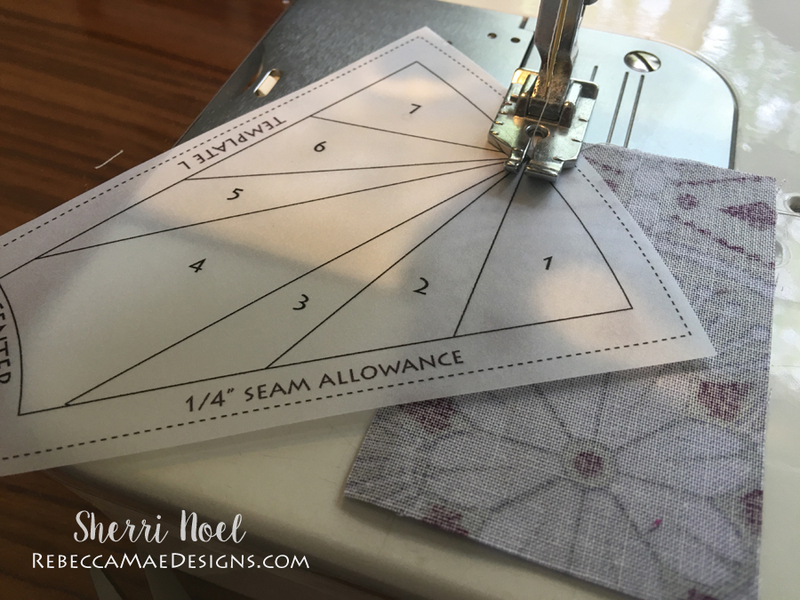 Fold paper back on your next sewing line between sections 3 and 4. 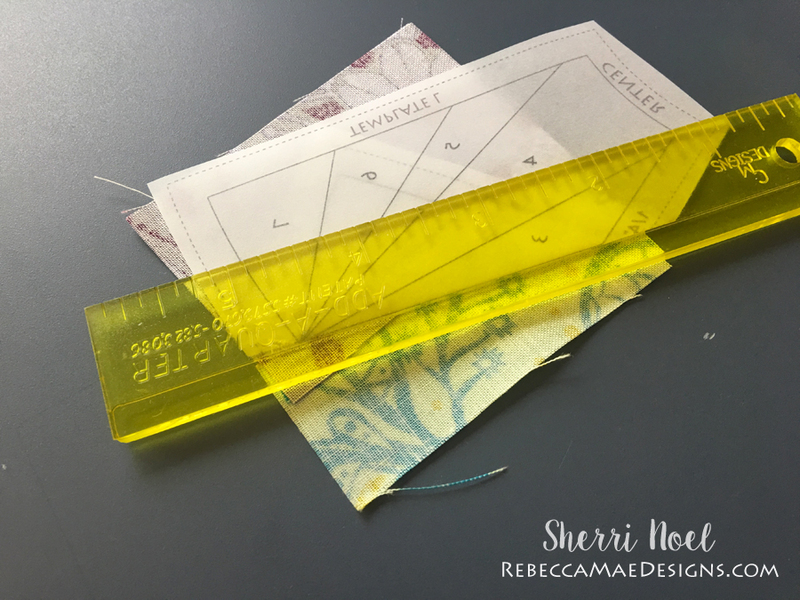 Trim again using your add-a-quarter ruler. Continue to align the next patch with the trimmed edge. 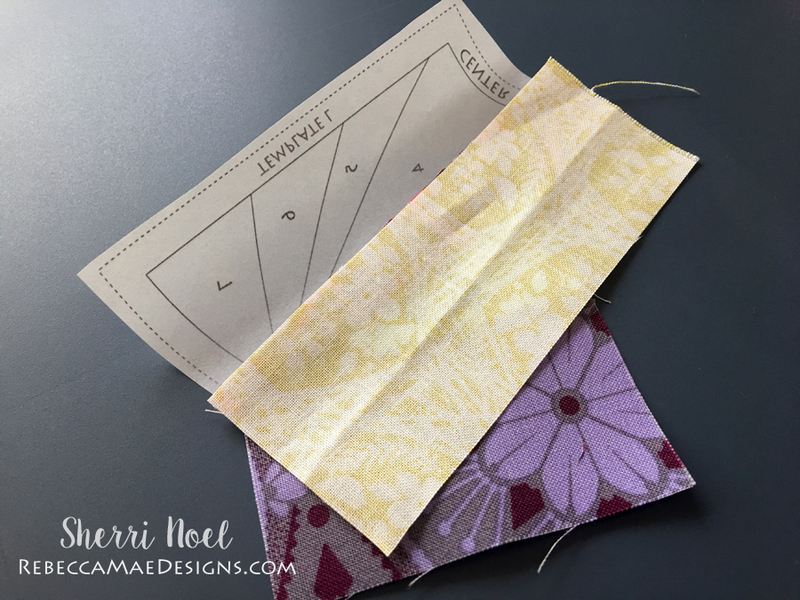 When you’re all done, trim to the dotted template lines! DONE! 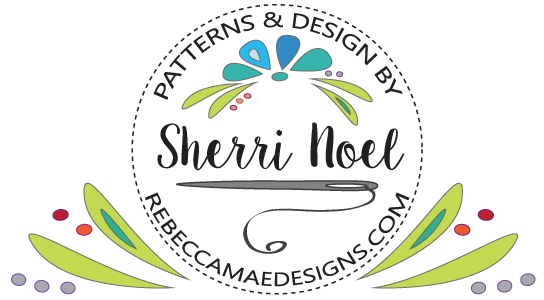 You’re ready to sew your arc pieces together!